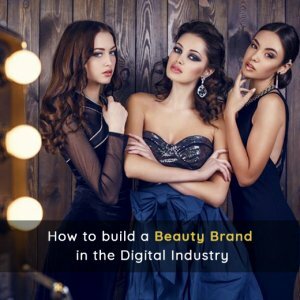 In digital cosmos, brands are blooming due to the leisure and abundance consumers have, in the fashion and beauty industry. From chasing the latest fashion trends to the best cosmetic ingredient, they know it all. Changing the ancient scenes, of going to a local brick and mortar stores and exploring that perfect shade of lipstick, to making a few clicks and adding the trendiest shade of lipstick-tunic match to our carts, we have come a long way. This change is also reflected in a US-based survey of 800 respondents, where 55% of them said they shop online for their beauty needs. For attaining customer loyalty and trust, interacting with your audiences through social media channels and live chats is a cinch today. Live question and answer, creating stories one after another, are the participative ways which will hook them for sure. Nykaa: An Indian beauty brand retailer of cosmetic and wellness product was founded in April 2012, which started its private label in 2015. This private label grew strong on digital front, through referral marketing. Nykaa sends enticing samples to the fashion and lifestyle bloggers, which advocate Nykaa products to their followers. This form of referral interaction has built Nykaa strong on Instagram and YouTube and directed more number of audience to its e-commerce website. For fostering a relationship where your fans feel innately involved, you need to be responsive of their queries, feedbacks or suggestions. From making them one-time consumer to brand evangelist, make sure to listen to your target audience and address their suggestions as and when required. Masterson says, she spends around two hours of her work day, just viewing and responding the comments section of Instagram. This ally helps her make decisions. She changed her Lala Cream’s componentry from an open jar to an airless pump and refined mousse-like Umbra sunscreen to more finely milled, transparent zinc based on feedback. Transparently and accurately state the policies, ingredients, schemes and other aspects of the brand. This open attitude will make sure that customers address grievances directly. Such open relation ultimately enhances the overall product development; and cultivates and conserves the brand integrity and sales. Products like Drunk Elephant and Sunday Riley perform well since they are transparent about what they are made of (Biossance’s Squalane + Vitamin C Rose Oil), instead of stating it as some magic oil to bubble their customers. Online medium being too dynamic and with every hour a new inclination adding up, every brand has to adapt the newness of the platform where it has its roots strongly present, to achieve its target. For staying in the race continually, one needs to acclimate new modes and things of evolving digital scenario. To build a brand digital, one has to adapt to its consumer needs, market trends and digital upheaval. To say, if your beauty and fashion brand is much followed on Instagram, then the hashtag- ‘#InstaFashion’ and ‘#InstaPic’ have posts around 72.6m and 112.6m to each of them. So, adapting to such hashtags will ensure that our brand will get the right visibility. Habituating the ongoing digital drift and adhering to every feedback and response from the customer, it is the experience that is created. The positive experience ones laid on the minds of consumers, make the roots stronger for years to come. Sephora’s Virtual Artist goes one step further by remitting its marvel tool, where one can easily try makeup and its shades online. This helps create cliental experience and pick the best fit without much hassle. To build a brand digital, remember it is all about experiential marketing. If you know some other enticing ways to build a brand digital, please share your feedback in the comments section below.